There is more than enough space for the entire family, their luggage and even the dog when you take your next family vacation in the brand new Ertiga! 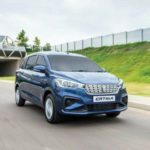 features to enjoy on your journey include aerodynamic styling which lowers fuel consumption, central locking that ensures the safety of all your passengers and the stylish wheel covers which will make this seven-seater stand out from a mile away. You are sure to enjoy the trip just as much as your vacation. 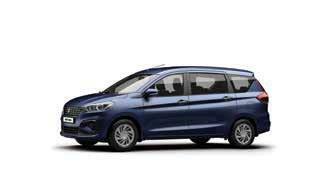 The all new Ertiga offers more space, comfort and features than ever before to help keep you and your family entertained on the road. 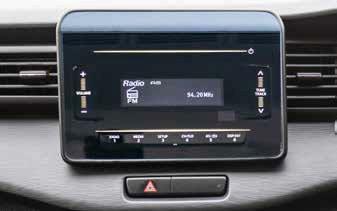 The Ertiga is fitted with an audio system which features a touch-panel with easy swipe operation, USB, Bluetooth Connectivity and steering mounted audio controls. All around electric windows which gives every passenger smooth easy operation. 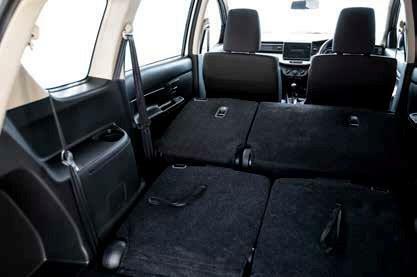 The all new Ertiga comes with a standard modern and spacious black interior that compliments its stylish look. Keep your passengers comfortable with the ceiling-mounted, three-setting air-conditioning. You will never run short on space in the all new Ertiga with a luggage capacity of 199 litres – even with passengers seated in the third row. Thanks to its longer wheelbase, high headroom and carefully positioned seating, the Ertiga offers more than enough space for everyone and everything. 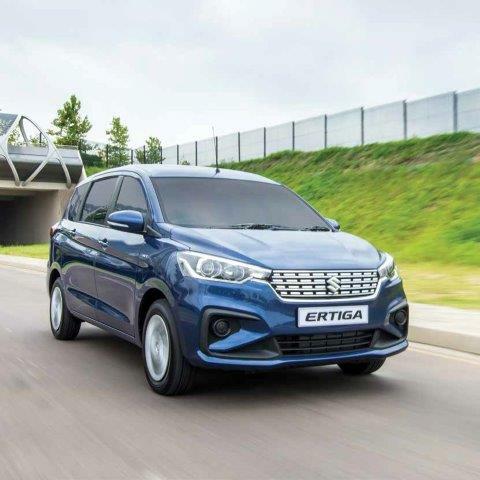 Your safety is one of our main concerns and we have peace of mind knowing you’ll be kept safe on the road with the range of safety features present in the all new Ertiga. 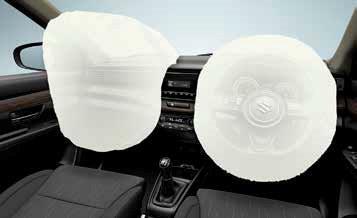 SRS dual front airbags protect the driver and passenger in case of a frontal collision. Anti-Lock Braking System (ABS) that will keep your tyres from locking up and helping the driver maintain control of the car in case of an emergency braking situation. 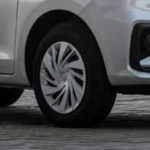 Your braking distance is drastically reduced by the Electronic Brake Force Distribution (EBD) which distributes braking force to the front and rear wheels of the car in an optimal manner. 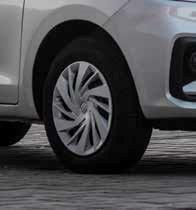 Parking your seven-seater Ertiga has just become easier with rear parking sensors. 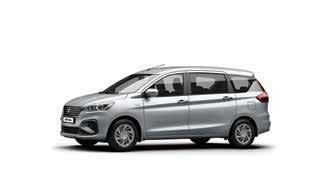 The all new Ertiga is available in a 5-speed manual transmission or 4 speed automatic transmission, and either a GA or GL spec. You can also choose between six colours, which consist of Premium Oxford Blue, Metallic Magma Grey, Pearl Arctic White, Metallic Silky Silver, Pearl Midnight Black and Premium Auburn Red.